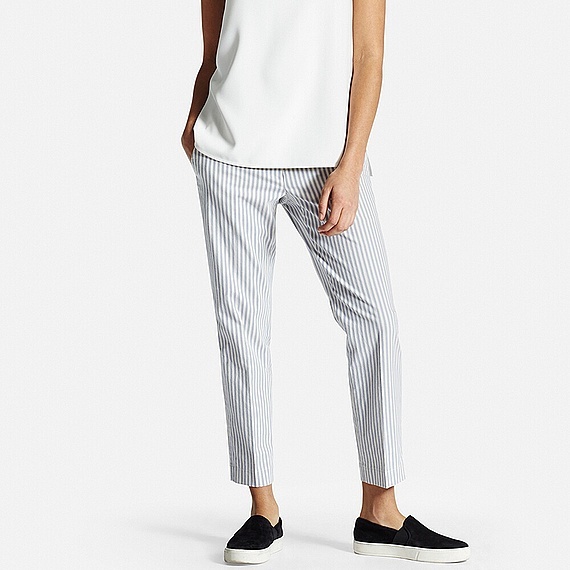 As mentioned in my previous post, stripes of all sizes and colour are a big thing this season, pinstripes are also making a comeback as seen on the SS16 DKNY show. 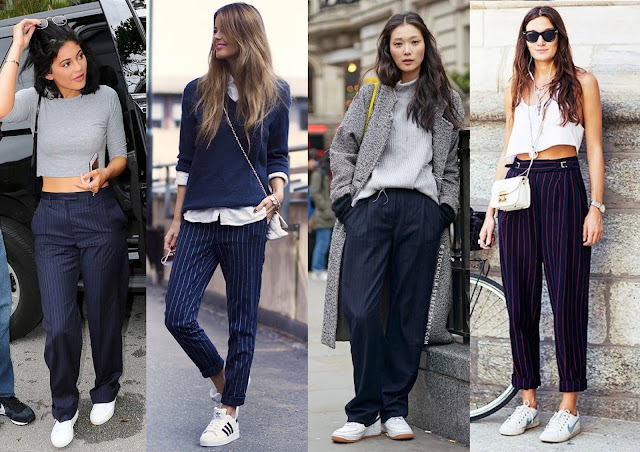 These thin parallel lines usually associated with businesswear can be pulled off as a casual look if worn with trainers like the below images. Also, it's a more subtle way to wear striped trousers if you feel bolder prints are too loud. 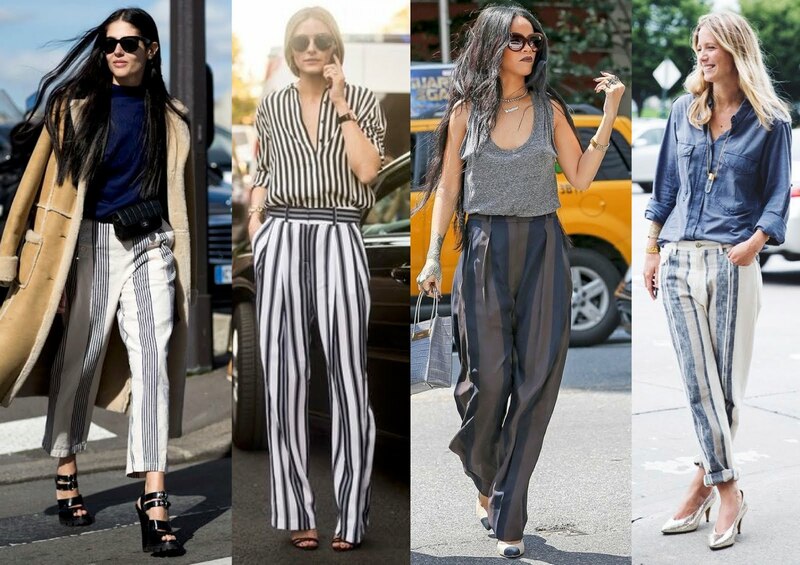 Style any striped bottoms with something simple on top, but if you're feeling brave wear it like Olivia Palermo has below, with a striped top. I decided to wear my pinstripes with an (Old Zara) t-shirt and my stan smiths, accessorised a lot more than usual too. (Sorry but didn't manage to get a great shot of me wearing them). 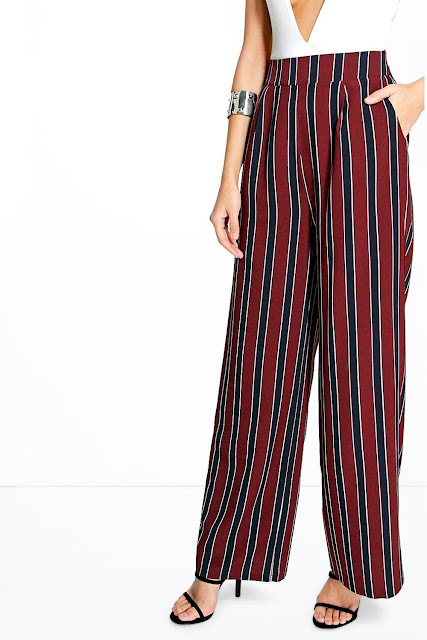 I purchased these trousers from Topshop a few weeks back but haven't had the chance to wear them till now. Being in jeans most of the time I don't usually buy smart trousers, but these are incredibly comfortable and look great dressed down with trainers. It's very flattering too considering the paper-bag waist is not the easiest look to pull off, but the high waist makes it a winner for me. These grey stripe paperbag ones look amazing on the model but not sure how the length would be on me. Similar shape to the ones I'm wearing above. 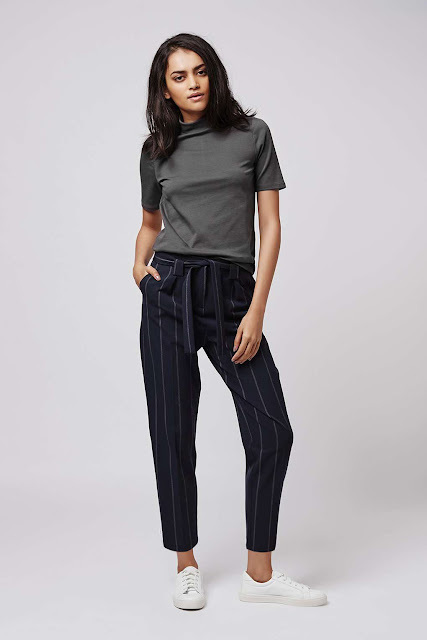 The below Uniqlo trouser comes in two colours, grey stripes or blue stripes, great in the summer with a cami, but would work well with a white loose fit cotton shirt too. 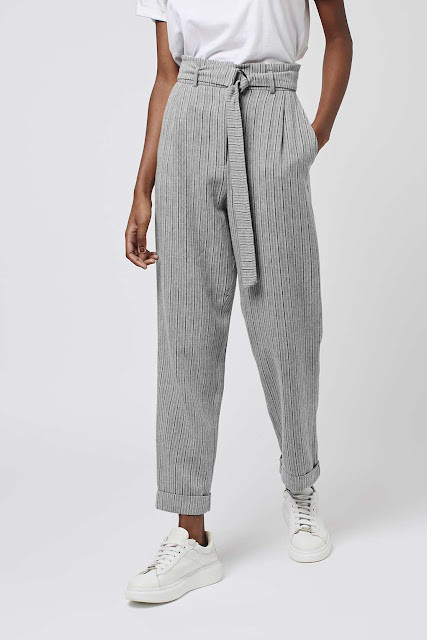 I don't own any culottes or short wide legged trousers, not my style but do love them on others. If you're brave enough to wear bolder stripes, these wide leg ones from Boohoo will make you stand out and with heels on it will elongate your legs for sure!